The red manicure can be considered both the classical one and French. It will be always suitable and actual. 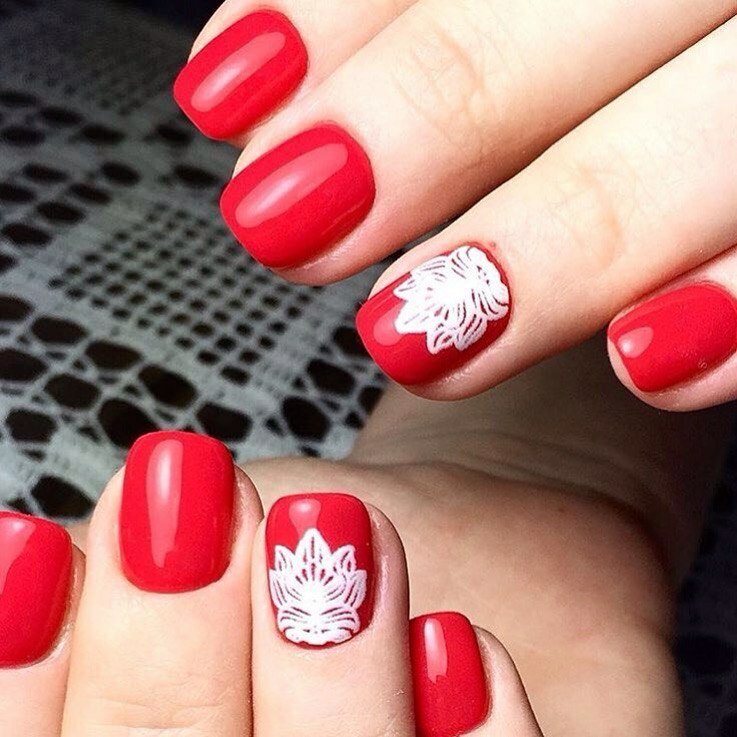 Such lovely design of manicure looks perfect on any nail length. All nails are covered in a red glossy color. To dilute the nail-art technique the slider design is used. With this pattern you can make the accent on the ring finger and will be more attractive.